Video Game Review: LEGO HARRY POTTER: YEARS 5-7 | Birth.Movies.Death. Could LEGO HARRY POTTER: YEARS 5-7 be best HARRY POTTER video game ever made? The Lego video game franchise hasn’t changed too much since Lego Star Wars burst onto the scene in 2005, but that’s just fine with fans. 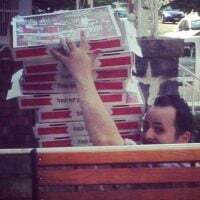 The combination of an addictive, kid-friendly co-op experience done up in the theme of familiar film franchises meant that anyone could lose themselves in these games, and millions of people have done just that. It doesn’t hurt that they’ve nabbed licenses for some of the most beloved geek franchises around, from Indiana Jones to Batman. 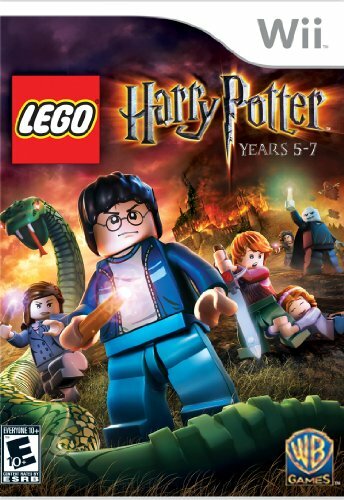 Lego Harry Potter: Years 5-7 is actually the fourth Lego title to hit this year alone, so it’s certainly easy to ignore it if you’ve played any of the previous games--how stale must the formula be by now? But this is the best one yet. The Harry Potter series is perhaps the most easily adapted to the Lego universe, simply because its use of magic fits the theme so well. The series has always done a fantastic job of actually making you feel like you’re creating (and destroying) a world piece by Lego piece, but your creations seem more authentic when you’re waving around a wand to do it and watching the pieces come together in mid-air. The world is absolutely filled with things to tinker with and use, every room containing clever puzzles, hidden collectibles and fun little Lego bits to fit together. The fact that it follows the story of the most exciting films from the Harry Potter series just makes things that much better. The game of course follows you through the events of the Order of the Phoenix, Half-Blood Prince, and Deathly Hallows 1 and 2. It’s hard to say how much of the story you’d understand if you haven’t read the books and seen the movies though, because the cutscenes feature that usual wordless pantomime Lego style that doesn’t exactly lend itself to these dialogue-heavy books, with all of their twists and turns. But then of course there’s the question of who would play these games without being familiar with the source material in the first place? Besides, they do an admirable job of conveying the basic story through grunts and sighs and exaggerated motions. Each film can be considered its own separate game. There’s no main hub where a player starts each adventure; instead you’ll travel around Hogwarts and Diagon Alley and actually journey to the place where each level starts. It really makes you feel like you’re exploring the world. At anywhere from 4-6 hours per section, this is a very long game. Once you’ve beaten it, you’ll have so many new spells and abilities to play around with in Freeplay mode that you’ll likely go right back into it, especially since you’ll have seen less than half of what there is to do in the game. There’s enormous replay value here and it will take you forever to find all the hidden characters, blocks and collectibles. You’ll get your money’s worth with this game, and then some. This is either a completionist’s dream or nightmare, depending on how you view things. Anyone who’s played Lego Harry Potter: Years 1-4 will know just what to expect here, although there are a few new additions. The best is that you can now tap the attack button and quickfire a magic spell. Before you had to hold down the button and aim a reticule where you wanted it to hit, which left you open to enemy attacks. Since there’s much more action in this game (as fitting with the last few films) it’s really handy. There are also a couple of new spells to try out, most notably Aguamenti, which shoots out a blast of water to put out fires and water plants. The co-op, as always, is impeccable. Drop-in drop-out gameplay means that you can enlist the help of a friend instantly, and if you guys wander too far from each other the screen will split so that you can each do your own thing (I still call this ToeJam & Earl-style.) It’s really helpful to have a friend by your side in the more action-oriented sequences because your computer friends are really no help. They’ll generally just stand around watching you fight off hordes of minions like they’re from Hufflepuff or something. The combat is probably the weakest part of the game, but then again if you’re coming to Lego Harry Potter for balls-out action, you’re in the wrong place. You’ll duel opponents with magic by simply matching up the color of the spell and jamming on a button when your magic entwines in midair. Boss battles consist of waiting for them to throw something at you, grabbing it in midair, and chucking it back. Three hits is generally the magic number. But it’s remarkable how childlike you’ll feel playing these games, and it’s the kind of purely fun gameplay experience that’s not usually found these days. Forget those other movie adaptations with more realistic graphics,as this is the best Harry Potter game ever made. Parents- this is the kind of game you’ll want to buy for your kids simply because you’ll want to play through it just as much as they will. A perfect starting point for anyone new to the series and a joy to anyone familiar with it.